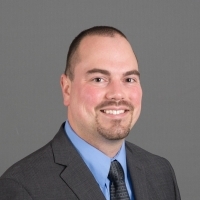 Marc Hodapp has ten years of experience specializing in fire hazard analysis, fire dynamics evaluations, and fire effects and human behavior modeling. His experience is concentrated in smoke control, forensic/litigation support, combustible dust hazards, industrial applications with hazardous materials and processes (e.g. semiconductor manufacturing plants), hazard analysis including PHAs, and fire testing. Mr. Hodapp has a passion for applying state-of-the art advancements in fire science to solve complex, real-world problems. He is proud to be part of an organization with an unsurpassed wealth of technical knowledge and a culture of professional excellence and integrity. Marc represents JENSEN HUGHES on the NFPA 652 Technical Committee for Combustible Dust.